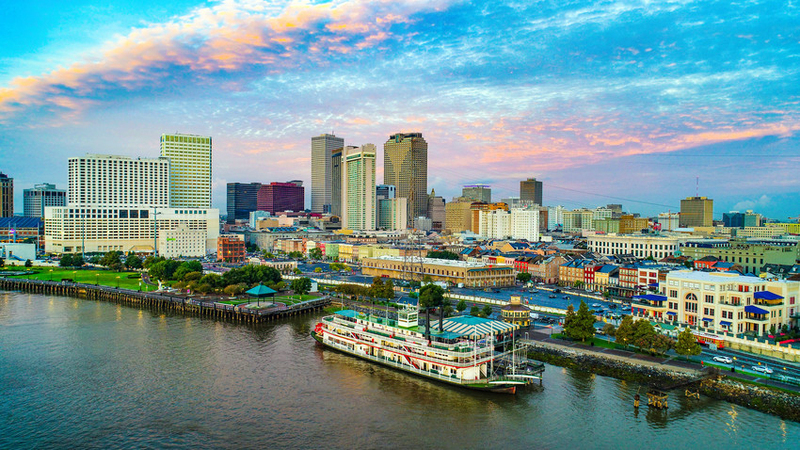 The Pinnacle | Registration Live for Top Echelon Network's New Orleans Convention! It’s that time of year again. The END of the year time of year. And that means you should be thinking about registering for our New Orleans convention and applying its cost to this year’s business expenses! It’s already December 18. Christmas will be here in a week. The New Year will be here in two weeks. So you don’t have much time. The dates of the National Convention are Thursday, March 28, and Friday, March 29. The site will be the Sheraton New Orleans. The cost of Early Bird Registration is just $449 per person. Our room rate for the Sheraton New Orleans will be $189 per night. The main speaker is Jon Bartos of Global Performance Search. It has been nearly 20 years since we’ve been to the city of New Orleans for one of our conventions. This is a great destination for any Network member who wants to grow their business in 2019, especially if you’ve never been there before. This is a chance for you to “kill two birds with one stone.” (Not literally. That would be cruel.) No, I’m talking about visiting a great city while at the same time meeting with other Network recruiters, sharing hot job orders and candidates, and building trading partner relationships. Not only that, but Jon Bartos of Global Performance Search is the main speaker. Jon is one of the most truested and respected names in the recruiting industry. He will have a TON of valuable content designed to help you maximize both your recruiting desk and also your agency. We’re excited about the sessions that he has planned for us. And we’re excited about YOU joining us for our New Orleans convention! Early Bird Registration is now underway for the convention. If you register now, not only can you apply the event to this year’s expenses, but you’ll also pay only $449 per person. As you might expect, the price will rise for the Regular Registration and Late Registration periods. To register for the convention, login to the Members’ Area of the Top Echelon website. The registration links are located on the left-hand side of the main page under the placement forms. We want to help you make 2019 a great year for you and your agency. Join us in New Orleans and allow us to do that! If you have any questions about registration (or about any other aspects of the convention), please contact me at 330.455.1433, x156 or via email at drea@topechelon.com.